Trying to find pubs in Kirkcaldy? You’ve come to the right place. We’ve got every pub and bar in the UK listed. Whether you’re looking for a pub or bar in Kirkcaldy to play darts, somewhere to play pool or just want to have a look at a menu before you go, we can help. 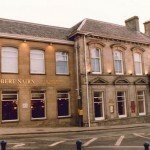 Robert Nairn in Kirkcaldy has disabled facilities. The pub is a family friendly pub, it serves food. Robert Nairn serves real ale. The pub has free WiFi, it is a member of Cask Marque. Wynd in Kirkcaldy holds quiz nights. 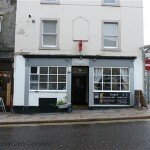 Betty Nicols in Kirkcaldy is a family friendly pub. The pub serves food, it has a function room that can be booked. 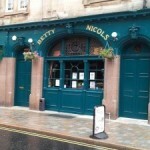 Betty Nicols serves real ale. The pub shows live comedy, it has live music events. Betty Nicols holds quiz nights. 13/02/2013 A good traditional pub . Windsor Hotel in Kirkcaldy has accommodation. The pub has a beer garden, it has a function room that can be booked. Windsor Hotel has an outside area. The pub has a dart board, it has DJ's. Windsor Hotel has karaoke. The pub has live music events, it has a pool table. 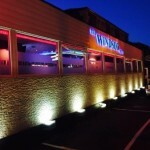 Windsor Hotel holds quiz nights. The pub has a big screen, it shows football on TV. Windsor Hotel has Sky Sports. The pub has terrestrial TV. Blue Monday in Kirkcaldy has DJ's. The pub has karaoke, it has live music events. Exchequer in Kirkcaldy has a beer garden. The pub has disabled facilities, it is a family friendly pub. Exchequer serves food. The pub serves real ale, it has free WiFi. 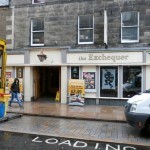 Exchequer is a member of Cask Marque. Penny Farthing in Kirkcaldy shows live comedy. The pub has live music events, it holds Poker Nights. Penny Farthing shows football on TV. The pub has terrestrial TV. Novar Bar in Kirkcaldy has a dart board. The pub has a big screen, it shows football on TV. Novar Bar has Sky Sports. The pub has terrestrial TV. 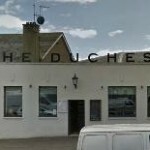 Duchess of Kirkaldy in Kirkcaldy has a car park. The pub serves food, it has an outside area. Duchess of Kirkaldy serves real ale. 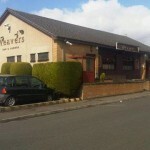 Weavers is a family run community pub.Weavers serves great freshly prepared food. 2 mains for £9.95. We have a great selection on our main menu as well as daily specials which are always changing to offer even more variety. Visit us with confidence.